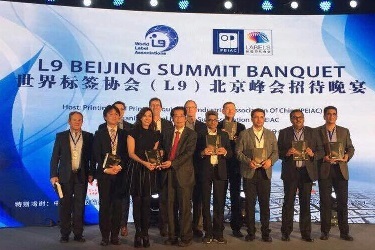 China offered the participants an optimally and fully structured convention programme, in which 150 selected label printers, suppliers and university representatives from China took part. After the perfectly staged opening show with numerous customary group photo opportunities, the Chinese label guru Professor Tan, turning 90 in October, introduced his latest book and presented it to the delegates with a dedication. The conference was meticulously filled with 22 x 20 minute lectures. First of all, the associations presented their work and projects, and this was followed by further short talks about statistics, RFID, technology and future prospects within the industry. It was a thoroughly pleasing programme. The two days that followed combined company visits with sightseeing. Luster, manufacturer of control technology and also responsible for the overall organisation, provided us with insights into the product range and lab. A visit of the Great Wall of China was naturally also a must. Furthermore, visits to in-mould label production and a security label manufacturer provided fascinating insights into the status of Chinese label production and eastern working culture. All companies were completely open. A desire for active cooperation was constantly apparent. It is interesting that these are all very young companies and that huge growth potential has existed to date. However, the Chinese domestic market is also becoming increasingly resistant to growth. The programme also included a visit to the China Printing Museum, which makes the Gutenberg look young, as well as a fascinating tour of the China Printing University with its 7000 students on campus. It also offers international courses and foreign students are welcome. A tourist highlight on this day was a visit to the Forbidden City. The trip made a significant contribution to international understanding in the field of labels. Barriers to cooperation were dismantled. And perceptions about the impact of the rapidly emerging Chinese market on the established label markets were put to the test. Extensive transparency in the world of production is expected in the future, which can be understood to mean give and take with mutual exchange. Despite the intensive programme, there was still time for an official L9 meeting. This meeting included discussions in particular on the important international exchange, as well as mutual learning without regional or political boundaries. The connection with a national convention was well received and can also be a programme point in the future. The translators and organisers - in particular Carrie Duan, who was available to us 24 hours a day for every conceivable question - were all highly motivated. Also striking was how many young people were in important positions. Communication in English was always possible. After years of relatively relaxed get-togethers, the L9 group desires a new structure. The various ideas concluded with the suggestion of appointing a president. Thomas Hagmaier of FINAT/VsKE was proposed for the coming year and can now refer to himself as the first L9 President. 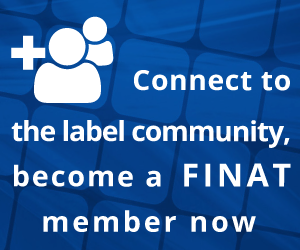 FINAT will continue to support the organisation. India and Mexico were chosen as the next host countries for 2018 and 2019 respectively.